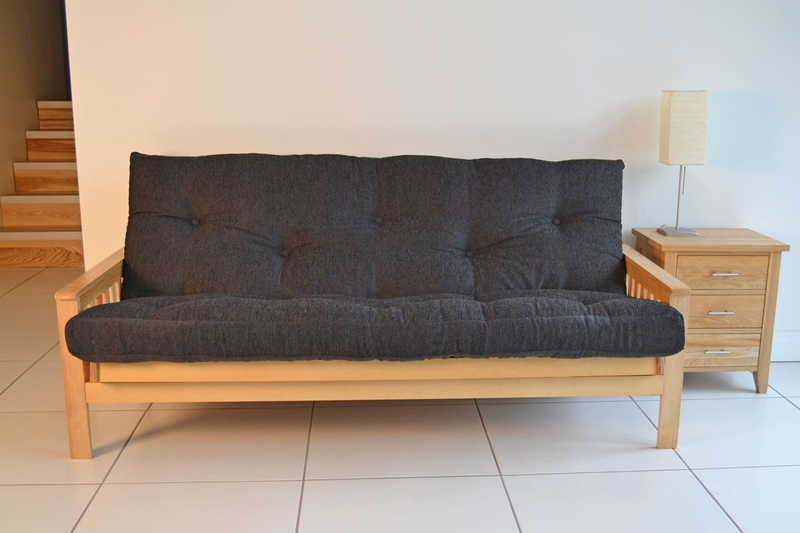 can be considered a design classic in the futon world. 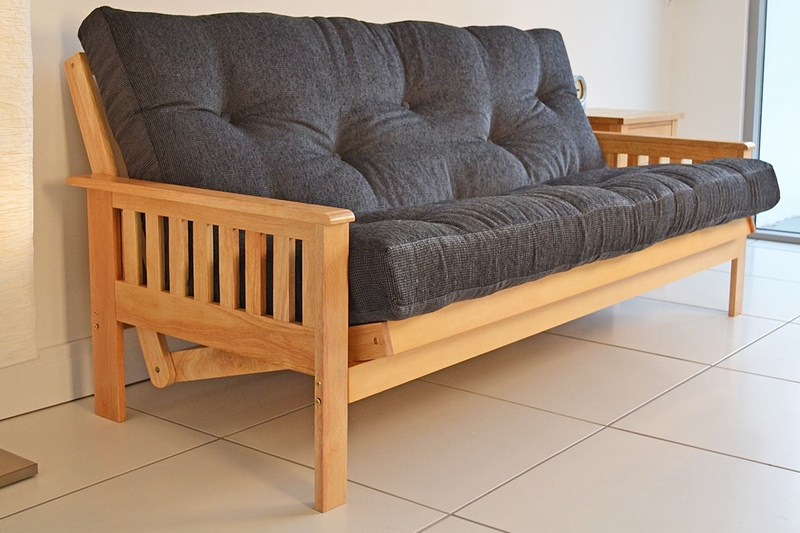 This ever popular design is as elegant as it is sturdy and is well suited for many rooms around the home. The slim arms of the Breeze take up minimal space allowing maximum seat and bed size whilst not taking up unnecessary space in the room. The Breeze is supplied with our Supreme futon mattress as standard and can be upgraded to our SuperPoly or FoamLux futon mattress for a more comfortable seat or for more frequent bed use. The Breeze is made from smooth rubber hardwood with a ‘natural’ colouration and then lacquered for added protection. 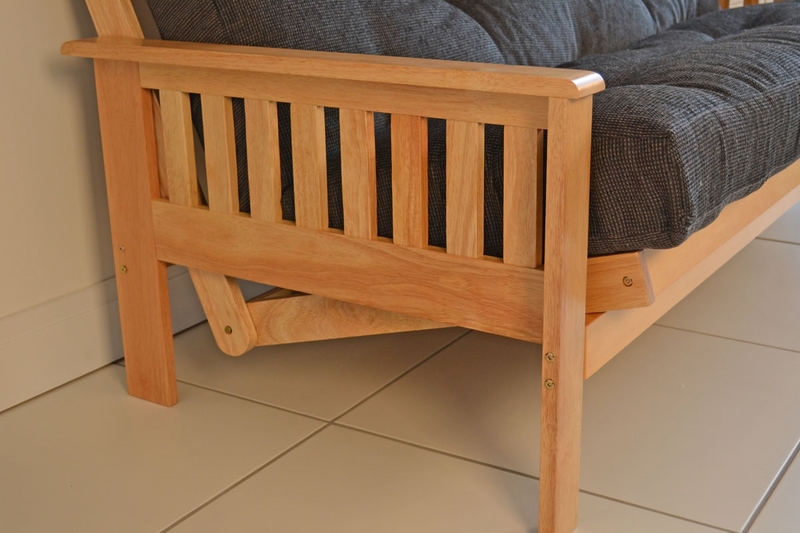 As with all wooden models from Sit and Sleep, the timber used on this model is from managed sources and meet all EU regulations. 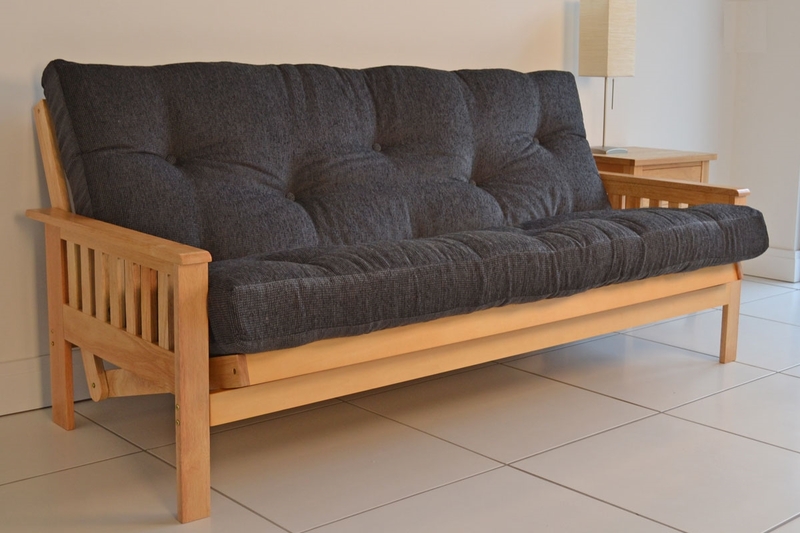 The BREEZE futon is supplied as standard with our Supreme futon mattress which is ideal for occasional/regular bed or sofa use. If you would like a more resilient mattress our SuperPoly specification, with the addition of two 450g/m2 layers of SuperBond Polyester adds loft to the mattress. 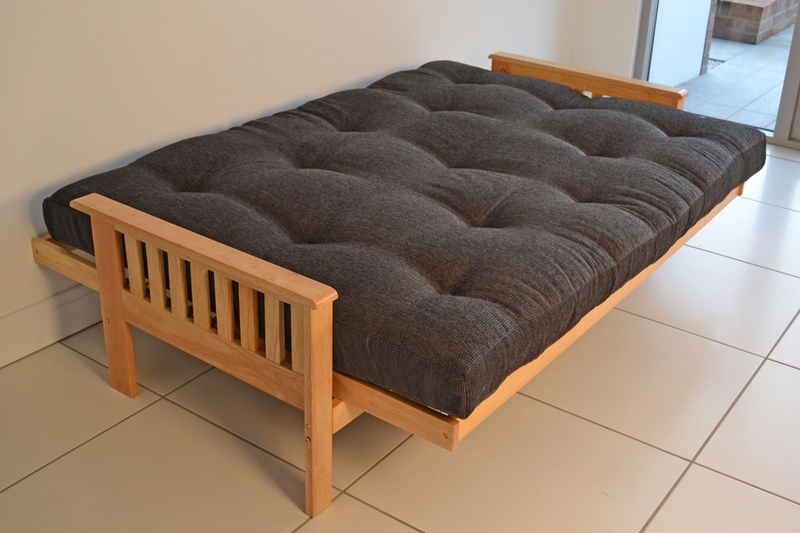 Alternatively for regular/permanent bed or sofa use we would recommend upgrading to our FoamLux futon mattress which incorporates a generous 40mm thick foam core for more comfort and support. The BREEZE futon is despatched as three packages. 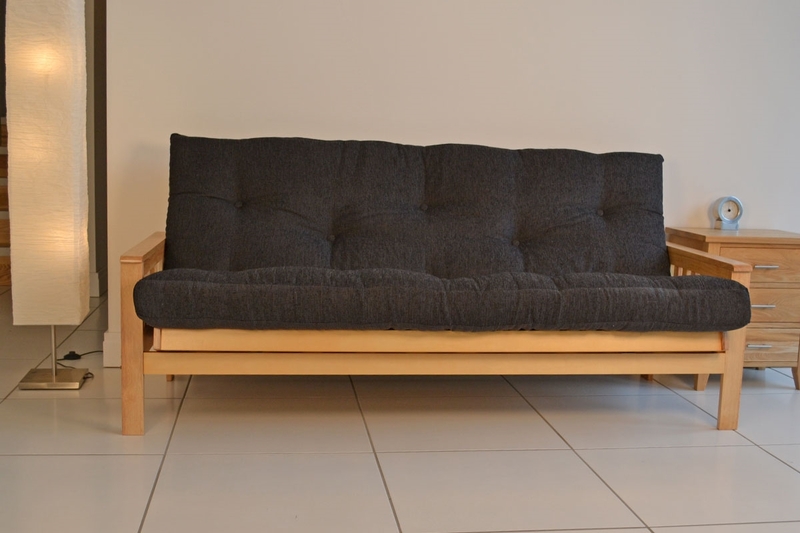 The BREEZE futon base requires assembly of the seat and backrest decks, and final assembly to include the pre-assembled arm sections. Requires about 45 - 60 minutes.